We are huge water theme park fans! This year, we decided to bring NINE boys to Adventure Cove Sentosa to celebrate my son’s 9th birthday. The boys could hardly contain their excitement! We chose to go on a school public holiday, with the hopes that it will not be too crowded. Also, as it is a water theme park, any rainfall during the last quarter of the year will not damper our spirits. Just in case, we purchased our tickets online so that we did not have to queue long to get in. By the time we arrived on Sentosa, the sky had cleared and it was a beautiful day to be outdoors and in the water. Adventure Cove, here we come! Walkway towards the entrance of Adventure Cove – there are lockers available for rent for items you are not allowed to bring inside the waterpark. The guards are pretty strict during the bag check about bringing in food or drinks for consumption. They will allow plain water (500ml), food required for special dietary needs or medical reasons and baby food. Even though it was a birthday celebration, we were not allowed to bring a cake in, unlike our previous celebration at the Port of Lost Wonder (POLW). Bag check before you buy the tickets to the park. These attractions seem like fun, but to our dismay, the long queues and the long 60-minute wait was a huge deterrent. Another disappointment was the Obstacle Course. Even though it looks like a lot of fun, and I’m pretty sure our boys could handle it, we were not able to access it as only two of our group of 9-year-old boys meet the 1.4m height restriction. So, instead, we went to the Big Bucket Treehouse for the slides and the big bucket downpour. The boys hanging out at the wave pool. Life Jackets are readily available in different sizes. It is highly recommended that kids put on the life jackets at all times when they are in the water. Even the adults should wear it, especially in the wave pool. The Adventure River was massive fun, but can get a bit congested as you can see in the photo above. My 7-year old kissed by a tiny fish – what a lucky photo opportunity. You can also stop over at The Bay Restaurant for a proper meal like pasta or meat dishes. But knowing kids, they are more likely to grab a bite and go (which was pretty much what the boys did). Hungry? Hop over to the two Hot Dog stands available to quench your thirst or squelch those hunger bangs. Overall, we thought that the park was a bit small and not as exciting as some of the waterparks overseas. 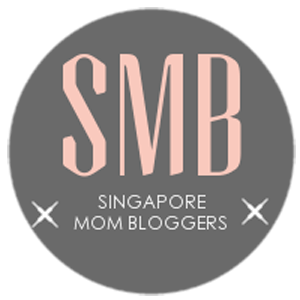 Read more about our other Water Park Adventures – Wild Wadi (Dubai), Aquaventure (Atlantis Dubai), Dolphin Bay at Atlantis (Dubai) , Waterbom Bali (Indonesia) and Wild Wild Wet (Singapore). One of the primary reasons was because we could not get on most of the “exciting” rides due to long queues or height restriction. We will not recommend hosting a birthday party there as it could get a bit expensive as you have to buy everything on site. Plus, you are not allowed to bring or purchase a birthday cake. Another issue we had was where to leave our valuables or how to carry cash with you around the park? You can rent the lockers in the park for $10 (small) or $20 (big) per day and retrieve your cash each time you want to make a purchase. Alternatively, you can purchase waterproof pouches from the Reef n Wave Wear Shop. Still, it was a great place for friends to hang out and have a blast together. The boys gave Adventure Cove the thumbs up! We always forget to take a family photo, but we got one this time. 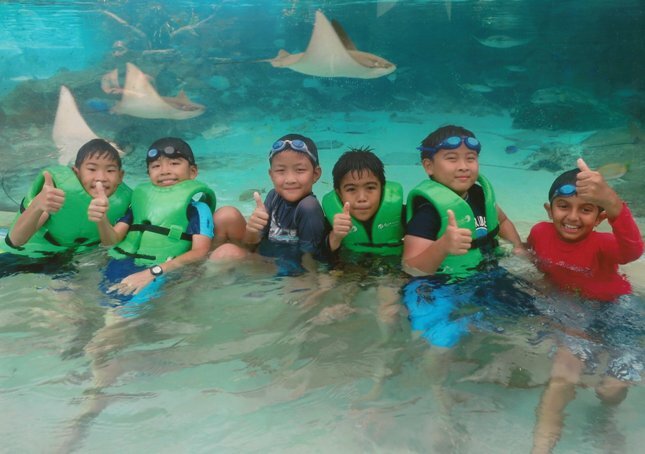 This is one for our memory chest: a fun-filled day at Adventure Cove. Click HERE for more details on opening hours, how to get there, parking, entry fees and online purchases. You may also like our Birthday Parties @ Adventure Cove, Build-a-Bear, Wild Wild Wet, Universal Studios and Port of Lost Wonder, OR birthday parties at home – Laser Tag, Ninja Gangnam Style, Royal Princesses, Slumber Parties or 20 Great Birthday Party Ideas.